American businesses can't hire workers fast enough. The United States had a record 6.6 million job openings at the end of March. 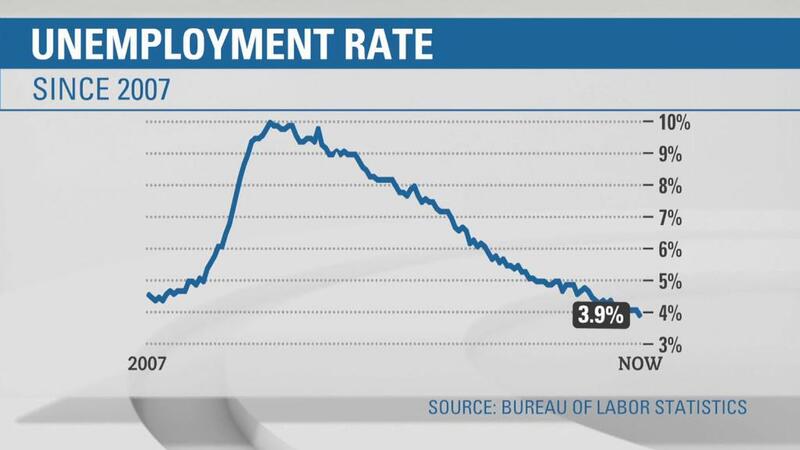 That's the most since the Labor Department started keeping track in 2000. In addition, the number of new hires fell by 86,000 in March to 5.4 million, reflecting that businesses aren't finding the right candidates for available jobs. Taken together, the two data points are signs of shortages in the labor market. Job openings have set records over the past few years as businesses have struggled to fill openings. Half of small business owners say they can't find enough qualified workers for open positions, according to a National Federation of Independent Business survey this week. Almost a quarter say it's the biggest problem for their businesses. "The qualification mismatch is an issue here for both employees and employers," said Satyam Panday, senior economist at S&P Global Ratings. Job openings increased by 472,000 from February to March, according to the Labor Department. Professional and business services, construction, and transportation, warehousing, and utilities led the new vacancies. There are now about as many openings as there are unemployed workers. During the Great Recession, roughly seven unemployed workers were chasing every available job. Businesses have added an average of 208,000 jobs a month over the past three months, and unemployment is below 4% for the first time since 2000. One signal of worker confidence: The number of workers quitting their jobs rose in March to the highest since 2001. Workers believe they can find better similar or higher-paying jobs elsewhere. The report adds to economists' outlook that the tight labor market will pressure employers to boost wages. The Federal Reserve said in a recent survey of business contacts that raising pay was one way employers were addressing labor shortages. "We need more people to come off the sidelines, and more attractive wages should be an effective way of encouraging that," Peter Boockvar, chief investment officer at Bleakley Advisory Group, said in an email.